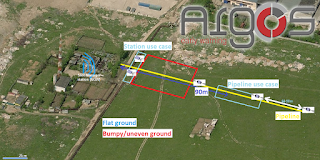 The First Scenario dealt with physical attack to the Pipeline network (extended/linear type of critical infrastructure) along the gas distribution network while the Second scenario focused to the attack at the installation of the gas distribution station. In both cases the ARGOS systems had to identify the abnormal behavior of the attackers, detect the location and transmit a relative alarm to the system’s Human Machine Interaction (HMI). 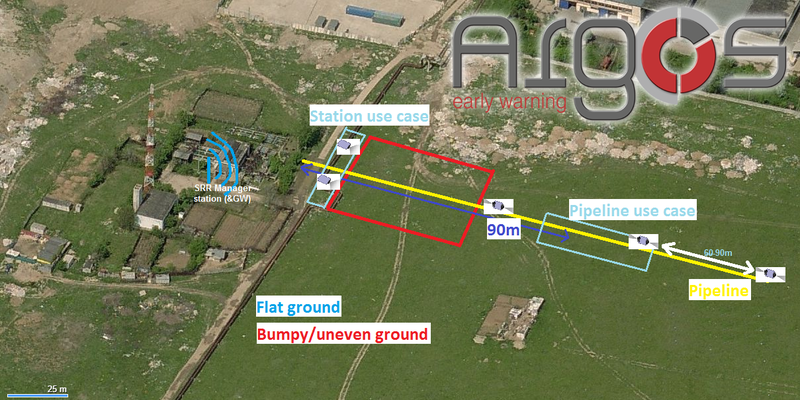 The ARGOS control system and the alarm reception center was placed in a hotel in Bucharest at a distance of kilometers from the facility. The results of the field trial used to test the capabilities of the individual sensors and sub-systems of the ARGOS solution as well as for validating the performance and the improvements of the data fusion module and the rule-based engine were successful. The system is proved able to detect timely the attack, before the intruder reach the security perimeter of the installation. Moreover, the capability of the system to discriminate between persons, animal and vehicles has been validated, while it was also tested against false alarms and missed alarms cases. The invited experts/observers evaluated positively the ARGOS solution based on fusion of information from a variety of sensors, as well as the adaptability and scalability of the solution to address different cases of critical infrastructures. They also commented on the compliance of the approach to existing legislative aspects and good practices concerning physical security and in particular as regards strengthening and extending surveillance and security beyond the physical perimeter of critical facilities.